From the Garden of Eden to the pavement of romance, outer space to bubble wrap, endangered species to climate change, Pete Mullineaux’s vivid and wide-ranging fourth collection explores personal-societal themes of loneliness, isolation, connection and dislocation; our ambivalent relationship with the natural world; ecological and environmental concerns; our confusions regarding science and religion; the elusive element of time. Philosophical, inventive, playful and fanciful at times, but always accessible and earthed by reality. 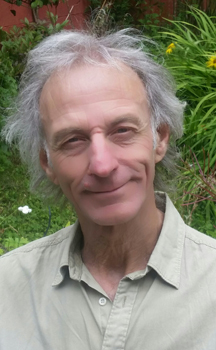 Pete Mullineaux grew up in the UK but since 1991 has lived in Galway Ireland where he teaches development education through creative writing and drama. His work has been featured on RTE’s Arena and published in numerous international journals and anthologies. His three previous collections are: Zen Traffic Lights (Lapwing, 2005) A Father’s Day (Salmon, 2008) & Session (Salmon, 2011). He has also written for the stage and RTE radio and published several educational resources most recently Just a Second! Exploring Global Issues through Drama & Theatre (Afri 2015). How to Bake a Planet combines the somber with the comedic while confronting us with the reality that time decays — and sometimes, too many times, we are alone. Solitude is not the key theme of this book so much as the danger of distraction in an ever-expanding world. How can a person form connections when the human shelf-life is so short and no one can be bothered to veer out of his own lane? 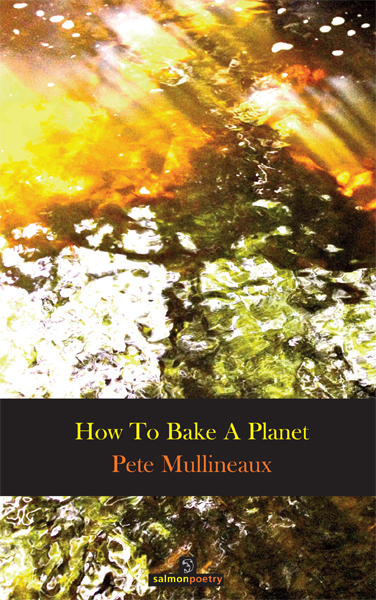 The singular voice of this poetry — one part sarcasm, one part irony, two parts morbid bluntness — poignantly conveys the feeling of “seeking something firm / to anchor the uncertainty / or perhaps contemplating / the ripple effect she could make / by gently rocking the boat.” Mullineaux draws on anxieties about a poisoned planet, strangled relationships, and the ever-present ticking of time in an attempt to uncover the smothered sentiments we all keep locked away.